Age 63, of New Boston, passed away Wednesday, January 23, 2019 at SOMC in Portsmouth. He was born August 2, 1955 in Portsmouth to Ballard E. and Phyllis I. (Hayes) Patrick. 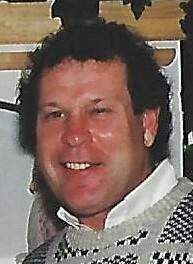 Gary was a 1973 graduate of Glenwood High School in New Boston where he played football, basketball, and track. He attended Marshall University where he played football as a member of the Marshall Thundering Herd. Gary went on to become a Union Pipefitter, working for Local 577, Plumbers and Steamfitters. He was also very active in the local real estate market. Gary was a Ohio State Buckeye fan and loved all sports. He had a kind-hearted spirit, loved the Lord, life, and his family and friends. He will be greatly missed by all who knew him. He is survived by his mother, Phyllis Patrick of New Boston; sister, Lyn Patrick of New Boston; brothers, Vonald (Toni) Patrick of New Boston and Todd Patrick of Portsmouth; nephew, Cortlin Patrick; nieces, Ragen Gillotte and Draden Gillotte. He was preceded in death by his father, Ballard; his grandparents, Lawrence and Clara Hayes, Earl and Hannah Patrick. Funeral services will be 2:00 p.m. Tuesday, January 29, 2019 at D.W. SWICK-NELSON FUNERAL HOME in New Boston with Pastor Jack Howard and Gary Heimbach, Sr. officiating. Interment will take place in Memorial Burial Park in Wheelersburg. Friends may call from 11:30 a.m. - 2:00 p.m. prior to the funeral. Fond memories and expressions of condolence may be shared at www.DWSwickNelsonFuneralHome.com.